Does this guest bedroom make you want to stay over? If you are looking to re create a room like this, let us do the shopping for you. 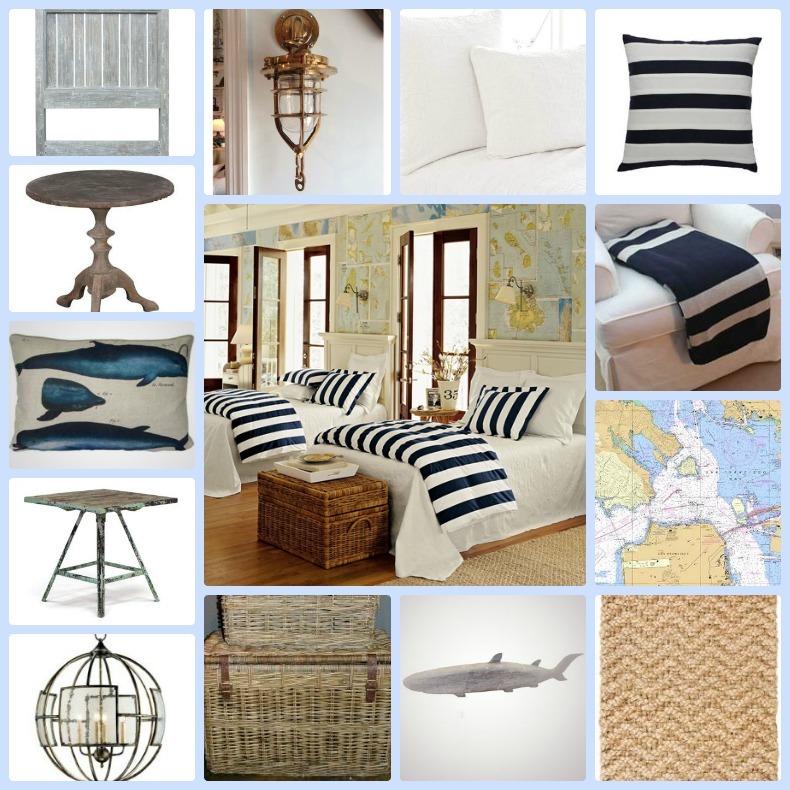 This nautical charts guest bedroom will be a favorite spot for all your guests.